On December 4, 1952, people in London, England, began to suffer respiratory illnesses after breathing thick smog. 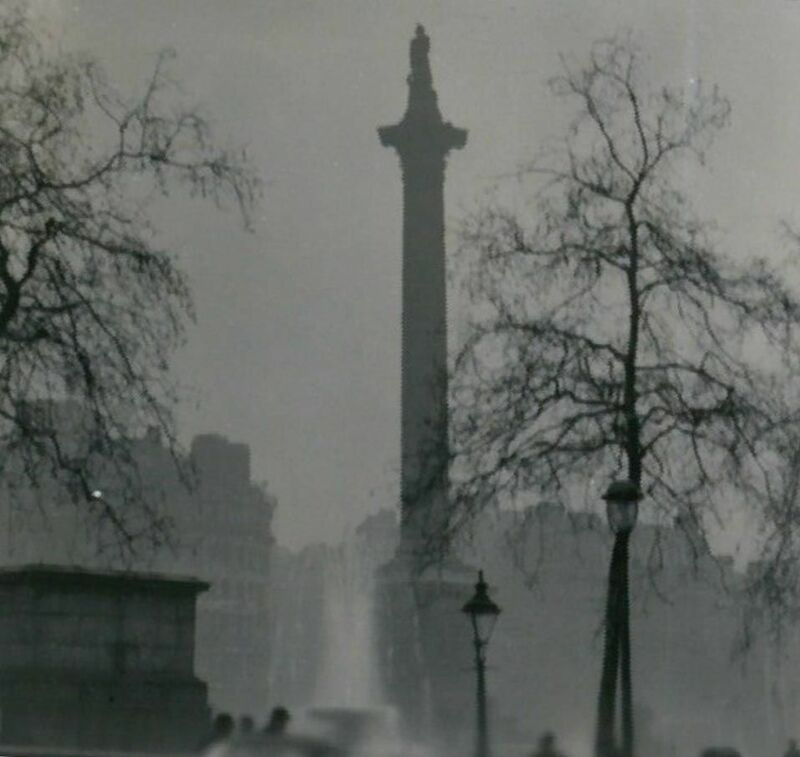 The "Great Smog" of 1952 blanketed London and was responsible for more than 4,000 deaths. Photograph by N. T. Stobbs, courtesy Wikimedia. This file is licensed under the Creative Commons Attribution-Share Alike 2.0 Generic license. On December 4, 1952, people in London, England, began to suffer respiratory illnesses after breathing thick smog. This deadly weather event, the Great Smog, would last almost a week and cost between 4,000-10,000 lives. Smog is a type of air pollution, created by industrial output and natural weather patterns. London’s reliance on coal-fired power plants for electricity and heat, and diesel-powered buses for public transportation, contributed to the Great Smog. London’s physical geography and weather also contributed to the Great Smog. The city is contained a large river valley, limiting air circulation. In addition, a mass of cold air blanketed the region the night before, trapping the valley’s warmer air below. This warmer air was very high in pollution from homes, cars, and factories. The Great Smog of 1952 caused the United Kingdom to enact stricter laws about air pollution. Many cities around the world have tried to limit how much pollution is in the air. However, smog is still a problem in cities such as Mexico City, Beijing, and Los Angeles. harmful chemicals in the atmosphere. industrial facility for the generation of electric energy. methods of movement that are available to all community members for a fee, and which follow a fixed route and schedule: buses, subways, trains and ferries. depression in the earth caused by a river eroding the surrounding soil.